The qualifications for a bright carrier increases every year or you can say it hikes on a monthly basis. The main reason is the way our civilizations have been attaining improvement in various fields of science, technology, finance, politics, etc. But when it comes to a job in a web development company also this rule applies. You want to build up a successfully carrier in web development you need to be having the skills to keep up with the latest trends in web programming like the new programming interfaces. HTML5 is an example of such new and revamped language that can help you build a successful carrier in web development services. When we are talking about carrier, we are not talking about just getting a good paying and comfortable job. A carrier should have the opportunity to grow and enrich both the knowledge and experience of the person and help him reach a more secure state of income and responsibilities. For this at first you need to secure a good job in any of the reputed web development company after you have earned the necessary skills to do so. This is the reason why today we will discuss How we can transform our career and become a Web developer to earn more money. XHTML and CSS is the language we use to create a gorgeous websites so if you have not created a website before or may be if you did with the programs like Dreamweaver but you wanted to know more in depth how to make a stunning website. 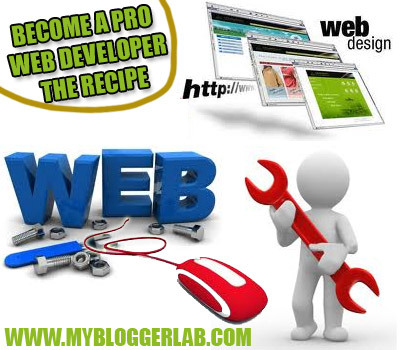 Then by learning XHTML and CSS you are talking once step forward towards becoming Pro Web Developer. XHTML stands for (eXtensible HyperText Markup Language) and CSS stands for (Cascading Style Sheets) these are the names of computer language. Basically without XHTML and CSS a website will be like an empty pot as XHTML is a basic structure of a website while CSS brings life to your website by styling and makes it attractive. 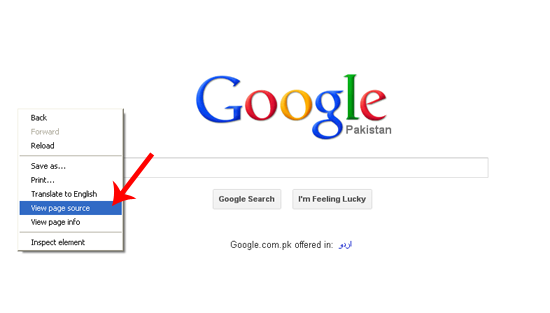 Just go to any website that you like may be Google.com and now go ahead and right click anywhere is the page and click "View Page Source"
Now a new window will be opened and you will be able to see all the computer language and I am sure that you really don't know what it is. 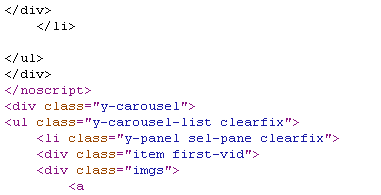 This is mostly XHTML and CSS all the little symbols like <div> <div class> comes under XHTML and CSS. Why To Learn: Photoshop is one of the most used photo editing software it allows users to create and modify beautiful looking clip-arts and vectors. It is very important for every web developer to learn Photoshop as it allow us to design a high quality site based on colorful graphics. Why To Learn: PHP is a general coding language originally designed for web developers which allows then to produce dynamic web pages. It is the first developed scripting language which was scripted (embedded) into different HTML documents. PHP works in dynamics basically it collects data and provide all the information in a convenient manner, which allow us to access all of its statistics in split of second. Why To Learn: Asp.Net is one of the most popular web application framework manufactured by Microsoft it allows programmers to build dynamic pages (Like PHP) for a website. Basically ASP.net is mostly used to prepare web forms which is based on a combination of HTML, server controls, and server code. Once again you will have to encounter a fork in the road. You may have to choose between building your carrier as a part of the web development company and forming your own firm with a bunch of fiends or coworkers or hired employees. Starting a web development firm won't be a highly difficult task if you have learned how the industry works and you have the basic managerial skills and knowledge to get the business float. It would be a good idea to stick around in a good company or the company that you have worked with for a while in order to gain the necessary knowledge to manage a web development business. Jawed is a freelance writer and blogger from India. He blogs about EarningHour. @Admin I am glad that you got such a nice author. your blog is simply awesome.keep rocking kindly write an article how to select keywords for a post title,and how to choose keywords from adword keyword tool. 2nd i have a blog and i want to add adsense in header like you have added i read a few tutorial and applied it,but nothing working for me.can you help me out. Thanks Brother For Liking our Posts. Stay Motivated Peace Pal. Hi Saif Afridi Bro, Thanks For Liking. And Yes Brother We Are Considering These topic About How Bloggers Can Select Keywords by Doing Keyword Research. Soon We will Publish It As Currently I am Having my Exams. Hi ,your blog sounds helpful,but please is there a way in which one can get web developing contracts online and get paid by the same method.